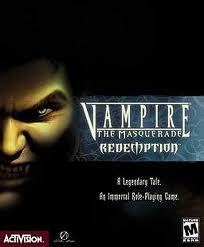 Vampire The Masquerade Redemption is by far one of the best role playing games we have ever played. In Vampire you will play a Christoph a mad of God who helps rid the evils and the sin of Cain in Moravia 1141 A.D. During the game you will interact with over 70 non-player characters in four cities: medieval Prague, Vienna, modern London and New York. You will survive as a vampire across 800 years and fight against various evil .